‘American Idol’ season one runner-up Justin Guarini spoke with Hannah Storm of ‘The Early Show’ on Monday (April 30) about the Tea Council scholarship competition and explains why he likes to drink tea. “Basically what we’re doing is we’re helping educate people about the health benefits of tea and also helping educate in general by offering a $20,000 scholarship,” Guarini said before explaining the contest. He added that he’s really a tea drinker. “It’s part of my daily warmup routine,” Justin said. The update at web.mac.com has since been removed. 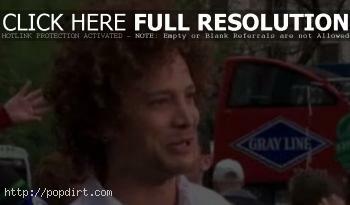 Did Justin Guarini Get A Nose Job?